This date palm tree is more commonly referred to by it's botanical name Phoenix Dactylifera. It's long botanical name is Phoenix Dactylifera True Date Palm. 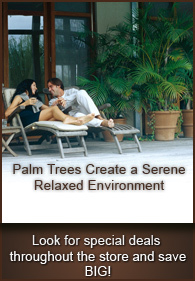 Phoenix is the species, Dactylifera is the genus, and True Date is the Variety. This palm is also scientifically spelled and referenced as Phoenix dactylifera v. true date palm; notice the lower case v. Variety is noted with a lower case v. and a period to identify Variety. There are many varieties in the genus, for example the Barhi, Medjool, Deglet Noor, and Zahidi. 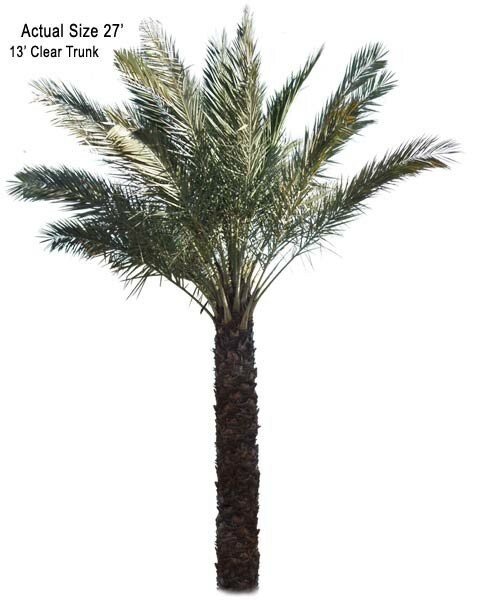 The True Date Palm is the most common variety in the Dactylifera genus, and thus referred to as Phoenix Dactylifera without the Variety name, or in the palm nursery world, referred to in slang as simply, Dac (pronounced dak). The True Date produces edible dates, thus named respectively. All palm trees in the Phoenix family are considered to be prestigious.